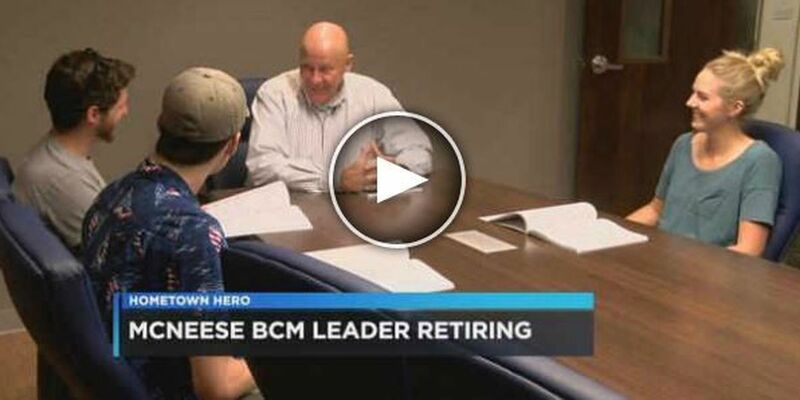 LAKE CHARLES, LA (KPLC) - A McNeese State University graduate who returned home to lead the Baptist Campus Ministry the past eleven years is retiring. Wrapping up 36 years in campus ministry, McNeese alum Keith Cating is keenly aware of college students and their potential. "They have a sense of independence, but they are not yet at that point where they are married and have a job and a mortgage," said Keith. "So there's a sense of freedom that they feel called to do missions and it's been fun to challenge them to follow God's will when they're young enough and energetic enough to do it." After graduating from McNeese in 1973 with a CPA, Cating later served as a baptist campus ministry leader at Ole Miss and Tulane, before returning to Lake Charles. "Every generation has their problem children. Ours did certainly. Maybe there are more today or less. But there's always been a remnant. There's always been that group of students who want to walk with the Lord, who have a tremendous work ethic. I've been blessed to have those kids in my ministry." One of his biggest accomplishments was overseeing the completion of a new BCM at McNeese. "We had a building that was 60 years old. It was built in 1954. It was in bad repair. God gave us a vision to build a new building. We raised about 1.7 million dollars to build this facility for the future." Under Cating's leadership, the McNeese BCM has grown to become the third largest Baptist campus ministry in Louisiana, behind LSU and Louisiana Tech.